Angela Bassett attends the 2019 Essence Black Women in Hollywood Awards Luncheon at Regent Beverly Wilshire Hotel on February 21, 2019 in Los Angeles, California. 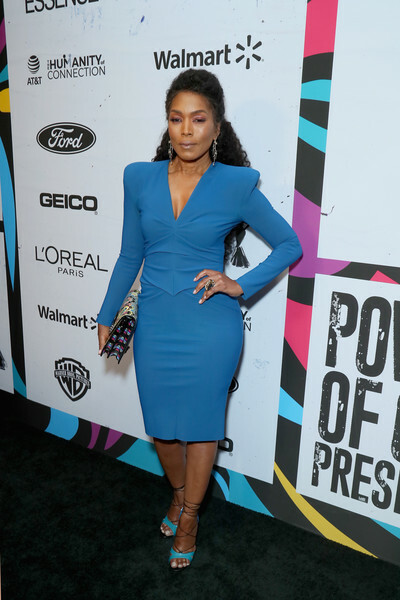 Angela Bassett attended the 2019 Essence Black Women in Hollywood Awards wearing a strong-shouldered blue sheath dress by Greta Constantine. Angela Bassett teamed her dress with turquoise lace-up heels by Casadei.